Tired of chasing sales all over town for your holiday shopping? 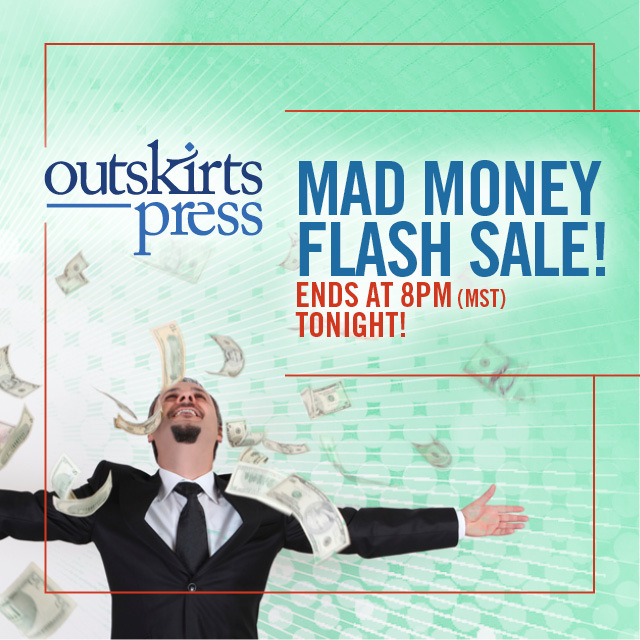 This one-day “Flash Sale” from Outskirts Press is right at your fingertips! Take advantage of this popular promotion today and today ONLY — it’s the perfect time to begin your self-publishing journey AND earn $300 of Mad Money to spend how you choose. Today from 8 a.m. to 8 p.m. (Mountain Standard Time), when you begin the self-publishing process with Outskirts Press, you’ll receive $300 in Mad Money, simply by choosing either the ultimate Diamond or full-color Pearl book publishing package. Plus, when you combine this promotion with the $500 of FREE upgrades already included with the Diamond package, you’re looking at $800 worth of goods! Don’t delay! At 8 p.m. (Mountain Standard Time), this offer expires! Don’t miss a chance to receive $300 that you can use to make your book stand out above the rest! Click the button below to order securely online or call 1-888-672-6657 ext. 706 to order over the phone. This month, you can receive FREE Goodreads Marketing Campaign when you start publishing today! 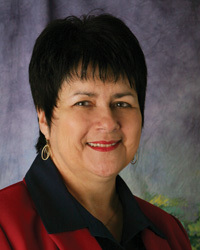 Martha Gabour Manuel, a Louisiana native, lives in Ventress, thirty-two miles from Baton Rouge. 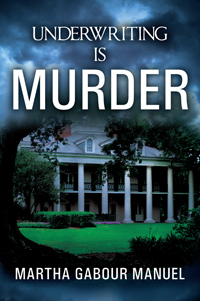 Martha’s strong ties to Louisiana are what inspire her writings. The author of “Murder on False River” and “Political Treason,” Martha started writing books after retiring from the traditional work force. Her love of surprises keeps friends wondering who will be the next to appear in her novels. Margie grabbed the police chief’s arm as he was taking aim; instinctively he swung around. There was a loud explosion as the gun went off. The illustrious Dr. Marguerite Hinckley’s body plummeted to the floor. Henry dropped to his knees beside her and began crying out, “Oh my God, what have I done?” In shock and disbelief, Mel watched from her vantage point outside the window. An extra surge of adrenaline shot through her body, reminding the relatively new private investigator she had to quickly distance herself from the unimaginable scene just witnessed. Mel had been hired to follow Margie by her husband, Seth, in order to find out if his wife was having an affair. Little did she know that the horror viewed scarcely minutes earlier was only a preview of what was to come, as she is thrown into the middle of what may be the strangest and most bizarre murder investigation she will likely ever know. Previous Previous post: Get Your Self-Published Book Reviewed by Professionals Today!